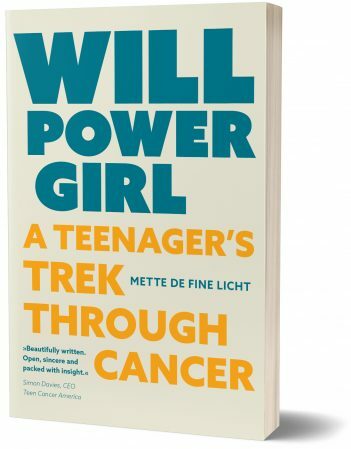 Teenage cancer survivor, author, blogger and speaker Mette de Fine Licht has written 10 books, including the memoir, Willpower Girl — A Teenager’s Trek Through Cancer. The book is a rare insight into a teenage cancer patient’s mind with all the fear, doubt and longing for a normal teenage life. Born in 1985, Mette de Fine Licht was diagnosed with a serious and rare type of bone cancer when she was just sixteen years old. After undergoing chemotherapy and extensive surgery, which included the placement of an internal prosthesis in her leg, she was cured. On the blog at willpowergirl.com she writes about life as a teenage cancer patient, about the challenges and victories every day of being a teenage cancer survivor and how willpower and friends is key — both during cancer treatment and in the life after cancer. “Willpower and friends don’t cure cancer, but without them by your side the toughest days will be even more tough,” says Mette de Fine Licht. 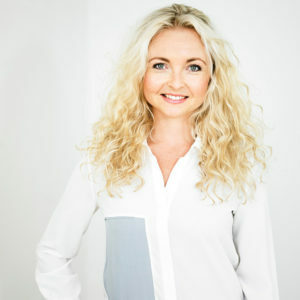 Mette de Fine Licht is also an excellent speaker with valuable insights for both teenage cancer patients, family and professionals surrounding the cancer patient – insights only a teenage cancer survivor can offer. Today Mette is a partner in the book agency Skriveværkstedet, where she advises other authors on writing, publishing and promoting, and she teaches writing workshops in Denmark and Bali. She is a sought-after ghostwriter and communications advisor. Mette lives in Copenhagen, Denmark, with her husband and their two sons.